Once the holidays are over and the decorations put away things can feel a little stark. But this is where Valentine’s Day decor comes in! Put up some Valentine’s Day decor from Amazon, and things will feel decidedly more warm and inviting. Let me show you what sort of Valentine’s Day decor you can find. 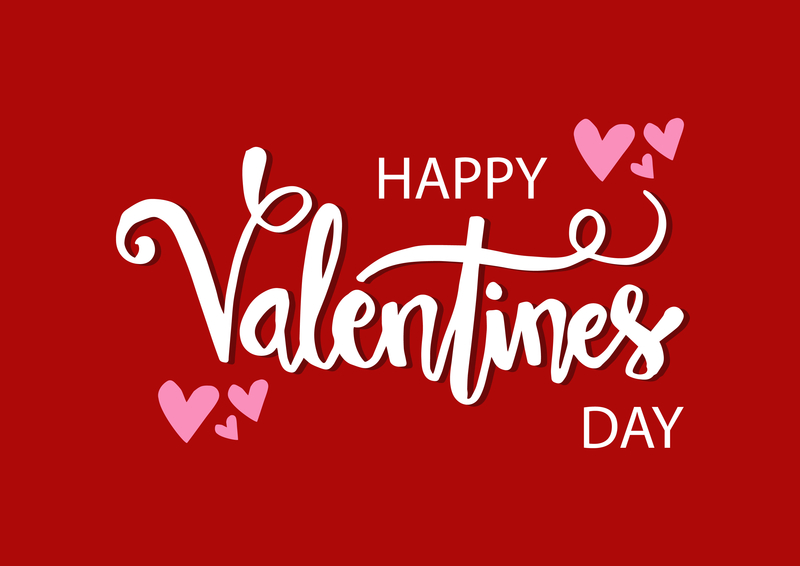 You’re sure to fall in love! 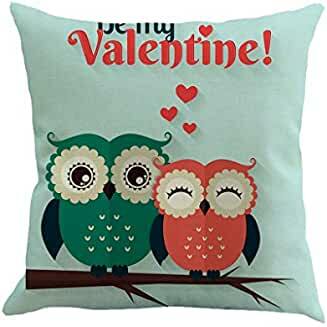 I love these Valentine’s Day decor pillow covers! Each one covers an 18-inch square pillow in cuteness. The zipper is hidden, and the pillow covers are machine washable. That makes them easy to reuse every Valentine’s Day! A pretty wreath is a necessity for any holiday, including Valentine’s Day decor. I love this one that Amazon sells for under $70 with prime shipping. It’s a nicely sized 19″ in diameter, and 4-5″ deep. Included is a white gift box perfect for storing from year-to-year. 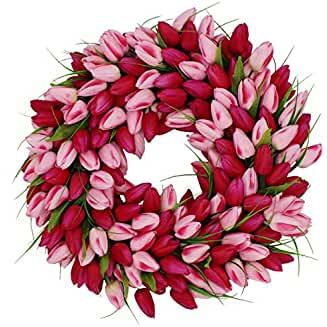 If you also love tulips, this beautiful wreath is a definite must-have! Love this LED lighted marquee sign! There are so many ways you could use this for your Valentine’s Day decor. And if a wedding ever rolls around, you could use it for that, too. 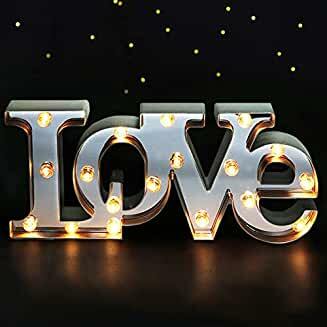 Why not string some magical Valentine’s Day lights? 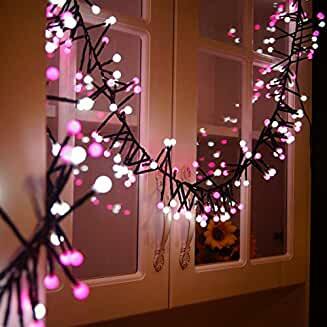 These 10-foot LED pink and white fairy lights are so pretty! You get 8 flash modes, a 15-foot electrical cord, and waterproof lights. So hang them indoors or out, it’s up to you! 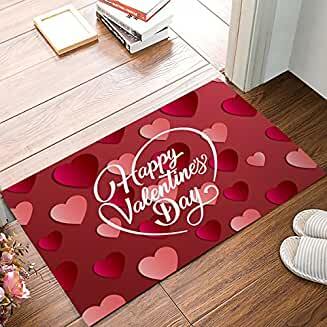 Welcome everyone home with a Valentine’s Day decor door mat. 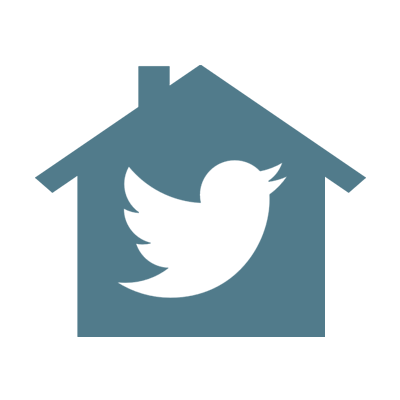 For less than $23, you get an 18×30″ non-slip door mat you can use anywhere around the house, indoors or out. 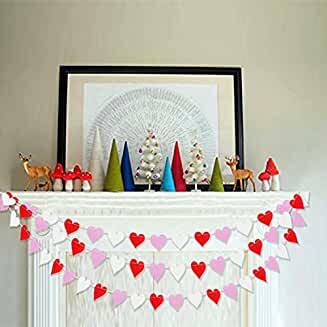 Deck out your mantel, a wall or a doorway with a set of two colorful heart garlands. Each garland measures just over 13 feet in length. The hearts are made of durable, double-sided cardstock. The garlands are packaged individually so they don’t tangle. This is a pretty awesome deal! 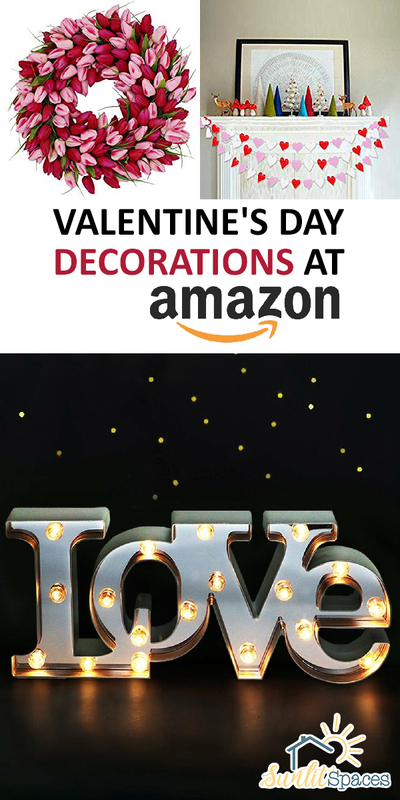 Click your way over to Amazon and see what else you can find for your Valentine’s Day decor. They make it easy!